Having started her career as a model, Carole White founded Premier Model Management in 1981 with her brother. Having gone on to discover some of the world’s top models including Naomi Campbell, Linda Evangelista and Claudia Schiffer, Premier is now a world famous agency – representing over 250 top models worldwide. 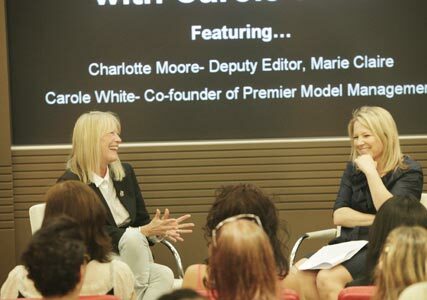 As part of our Inspire & Mentor campaign, Marie Claire‘s deputy editor Charlotte Moore spoke to Carole about breaking into the modelling industry and being the feisty star of Channel 4’s documentary The Model Agency – a behind-the-scenes look at one of London’s top agencies. 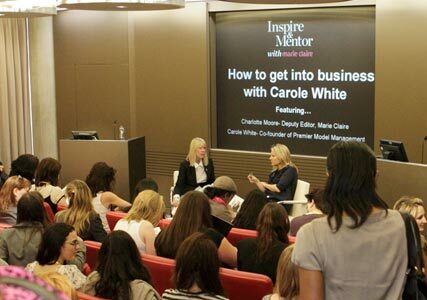 For any aspiring agents and businesswomen, we’ve got her top five tips for success.